Absolutely terrible animation while moving along with you. Not much effort was put into giving it a natural looking animation. Decent battler, however. 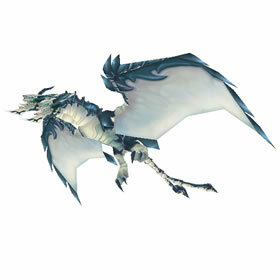 PET PVP; This pet has the highest attack power of any dragon who has deep breath, as well as roar if it's P/P breed. deep breath will do 1078 dmg and roar will deal 172 dmg. If this combination is done your pet will do a total of 1250 dmg due to the 25% roar dmg buff. If you add shadowflame to this now four round combo it will do up to 924.37 dmg (if the dragon pet ability is triggered - 50% dmg) compare this to merely spamming shadowflame, to maximize dps. I suppose it's fixed. It dropped as a rare, & shows up in journal & here as a rare. Mine was fixed to rare as of patch 6.1. However I notice some on the Auction House are still Common and Poor. I'm not sure if they fixed this or not. Got a blue item on my bag but upon learning it is added as an uncommon type on my book and also on my pets showing here on the page. Not sure if is a bug or intended, same logic would apply to the macaw parrot, which is an epic item on your bag but when you learn its not an epic quality pet. I doubt the quality is a bug, after all it's an albino. Everyone, please submit feedback to bliz about this pet's awful movement animation. When it's sitting still it looks fine. The wings flap in a nice slow smooth animation. But when you are moving, it goes into spastic overdrive. The wings flap and flail about and it just looks stupid and silly. Anyone else have a similar opinion? Mine dropped as a poor quality. Very odd. Added to my journal as a poor. I got one of these today from my menagerie. She dropped as poor quality, however she is showing as rare here (so presumably is also showing as rare in the armory). I noticed that quite a few of the people who have commented have mentioned they've already reported this bug, so hopefully the bug will be fixed soon. In the meantime, I'll have the pet charms to stone her tomorrow. Mine is common in game, however it shows up on here as a rare. Anyone else notice the same thing? Update! it is now showing as common on here. I was really hoping it would fix the other way and become rare in game =P I guess I can stone it blue now. Admittedly, I'm not the master of all things pet-battley, but I thought "ninja" referred to S/S varieties? Can someone lend their expertise on this? Same moveset as the Dark Whelpling which comes in a fixed PS breed, similiar stats to this ones PP. So take an SS Albino for variation if you like. Lots of PP dragonkin which are strong against magic, but magic passive blocks over-damage and counters dragonkin racial. Might be nice to have a few speedy dragonkin pets in the collection? I have recieved 2 of these pets from the dailies so far. The first one was rare when I recived it and so was the second. They changed quality on me as I went to cage one. Now both are poor quality. I have submitted a ticket for the issue but this can not be something that was working as intended. I got my first one today s/s poor quality. Thinking they will hotfix this later though as it doesnt make sense that all the rest of the pets in the bag are rare quality but this one. Got my first one yesterday. Poor quality B/B. Haven't seen B/B posted here yet so thought I'd add this one.